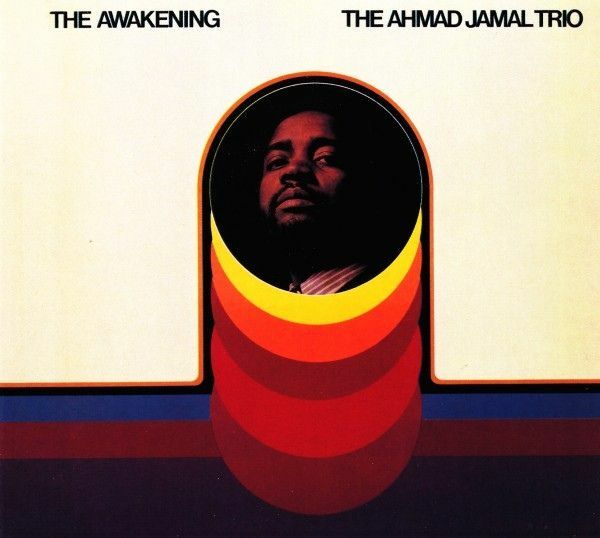 A collaboration of all the styles encompassed throughout Jamal's career, The Awakening makes an excellent relaxing album, showing off Jamal's piano chops with some excellent rhythmic grooves. If there was ever a man that never received the credit he deserved, that man was Ahmad Jamal. Jamal played jazz piano differently from everyone else. He had the classical chops to play all over the place and use his jazz knowledge to run across the piano with all kinds of different scales, but Jamal was smarter than that. He knew that 32nd note runs for 8 minutes straight would get boring and tiring. He used space and silence so well that it inspired much of Miles Davis’ playing. However, the world gives Davis the credit for revolutionizing that style of playing. The general public doesn’t even list Jamal in the top ten jazz pianists of all time. Obviously, that means nothing to Jamal, as displayed in his track title I Love Music. That’s really all that matters, and that mindset shines through brilliantly on The Awakening. The Awakening is about twenty years past when Jamal inspired Miles Davis so directly. Jamal himself seems to have made an evolution in his sound, allowing himself to show off his incredibly fast piano chops in variation. He still plays with his trademark sparseness, but not to the degree of Miles on his works like Sketches of Spain and Kind of Blue. Being the only instrument capable of handling melody for any length of time, Jamal forces himself to give some variety in his style of playing. Also, being limited to only one sound, his style of playing and the feel of the entire trio needs to be the main sources of variation to keep the album interesting. To a considerable degree, Ahmad and his trio pull it off well. Ranging from straight up swing to a completely authentic bossanova style to a jazzy, Bill Evans-esque piano solo, the variation in style is remarkable. Despite Jamal going all over the place on the piano with all kinds of great rhythmic and harmonic intricacy, the rhythm section locks itself in place and never lets anything speed up or slow down. However, Jamal is the star of the show, especially since I Love Music is the best song on the album. The majority of the song is just Jamal, showing off all of his piano skills. Despite the rhythmic speed and complexity, the real focus is in the harmonic structure. It is beautiful in so many ways, through its tasty chords and seemingly frantic jumping around. Still, even in all its complexity, Jamal manages to create memorable melodies and motifs. As a result of his traditional sparse style, Jamal feels the need to create a true melody, which makes I Love Music all the more enjoyable. Near the end, the rest of the trio enters, allowing Jamal to lay back a bit. The song stands as a jazz piano epic, far reaching and complex while still showcasing some of the simplest moments on the album.